It’s obvious the church members are gone… but there is more to this church when you have a closer look… Recently Janet and I were returning from visiting our daughter and her family in San Diego. When we return we take the opportunity to travel a different route each time. 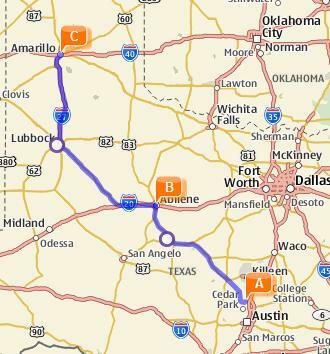 This gives us a chance to see different parts of the country between California and Texas. Janet and I like anything old… homes, barns… churches, etc. 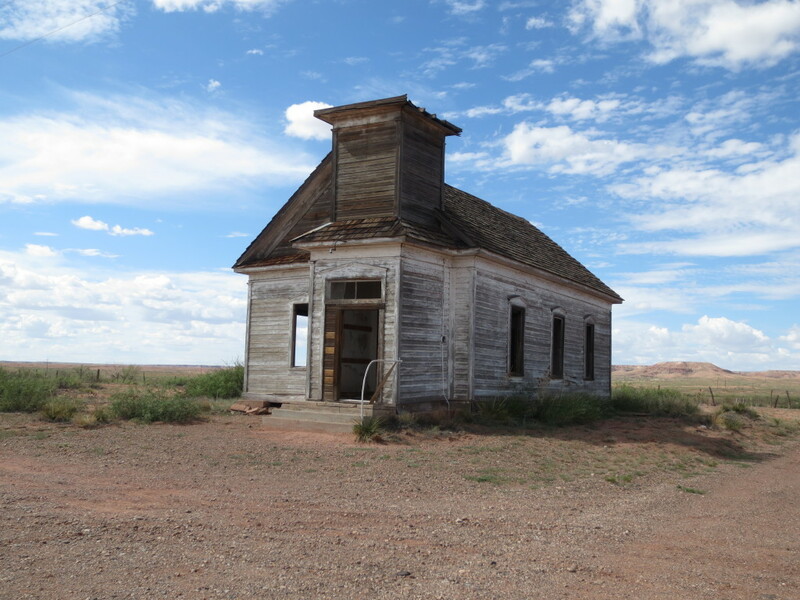 While driving through Fort Sumner, New Mexico Janet spotted an old abandoned church just off US-84 on the east side of town. I turned around and went back just for Janet… It was a small one room church. It had been abandoned for some time. As always I found myself wondering about all the people who have attended this church over the many years. Love, sadness and joy have been held within these walls. Standing outside I could see graffiti on the walls… obviously left by people who have little respect for much of anything… Entering the building I found there was not that much graffiti… Surprisingly, what I found really touched me. There were many notes written on the wall left by past visitors… Earnest notes of praise, prayers and confessions… from their hearts. I just got back from a motorcycle trip with 2 of my friends. Larry Cooper (my old Air Force buddy) from Alabama and Larry Talley (Larry Cooper’s friend from high school) from Georgia. I’ve known Larry Talley almost as long as I’ve known Larry Cooper because I met him when I first went to visit Larry Cooper in Alabama. I wasn’t sure if I would be able to go on this trip because of all that had happened during the 2 previous weeks. Two weeks before the trip we were going down to take my parents to Victoria to see my sister Edna who had just had a mastectomy. Just before we left we got a call from Ginny (sister-in-law) telling us that my dad was in the hospital due to chest pains. We never made it to Victoria. My dad was released from the hospital on Monday and Wednesday we brought them back to Georgetown because hurricane Ike was supposed to hit the coast there. We also brought my Aunt Bips too. Later Janet’s Aunt Pat and Uncle Perry and their 3 great grand kids came to stay with us until it was safe to return. We also had my brother Gary and Wife Ginny, Ginny’s mother, Ginny’s mother’s neighbor, their daughter Mandy and her 2 kids and a couple that was friends of Mandy’s staying in a motel near by. When the storm passed I drove down to Victoria and picked up a generator for my parents since their power was out. I stayed there until Thursday taking care of various situations. I thought I was going to stay longer because my dad was scheduled for a heart cath on Friday. Since it was cancelled I was able to go on the trip. I spent nearly all day Friday getting ready for this trip. 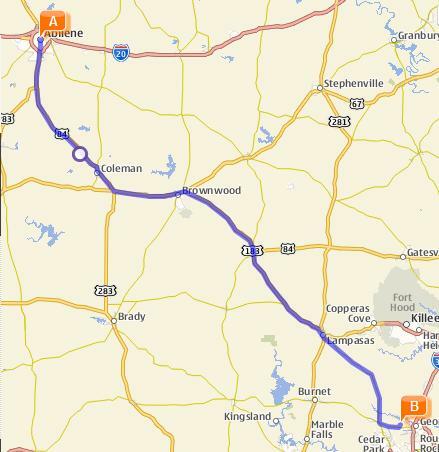 This was the longest MC trip I have ever been on in terms of miles. Actually it was too many miles for such few days. In spite of it all it was still fun. 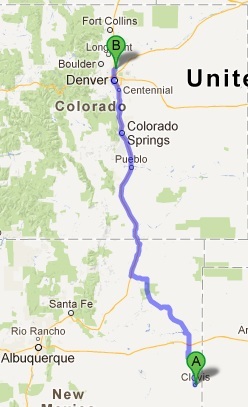 I think we all decided that next time we travel this many miles we will be taking 2 weeks instead of just 8 days. Besides getting older and our bodies needing more time we need more time to see the sights. We saw the sights in more of a blur. There was much more that we could have seen if we had more time. I met the 2 Larry’s in Amarillo. Because of all that was going on with me the Larry’s left a day later and we rode the trip backwards so that I would be able to go. 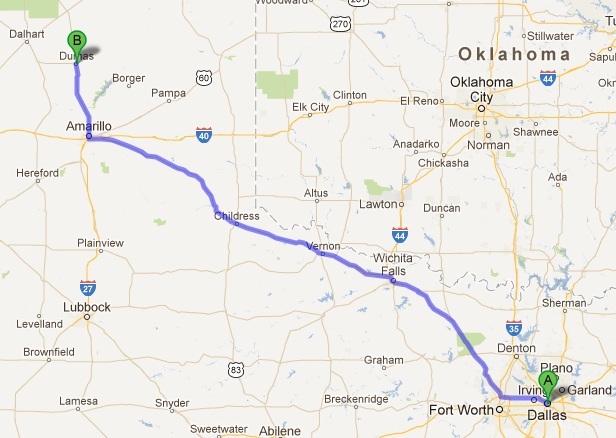 They left on the19th and rode to Ft. Smith, AR (I think) and rode the remained on the 20th. I arrived before they did and I got us a room at a Motel-6 on I-40. They arrived not long afterward. We had originally planned to meet at the Big Texan Steak Ranch on I-40 but since I arrived much sooner I decided to go ahead and find us a room. We didn’t eat at Big Texan Steak Ranch because they were so busy. They had some kind if entertainment going on that had a lot of people attending. We ended up eating a steak across the street from our motel. The steak wasn’t bad but I’ve had better. We ate breakfast across the street where we ate the night before. Then we headed for Castle Rock, Colorado. 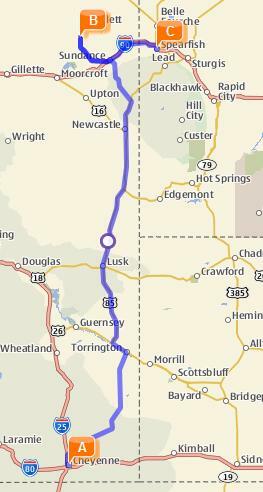 In the past when I had driven that way I had traveled to Dumas, TX then took Hwy 87 to Raton, NM. This time we followed the route Gladys (My GPS’ name given to her by Janet & Kristy) mapped out for us. Gladys took us Hwy 1061 to Hwy 385. We then picked up Hwy 87 at Hartley. The wind picked up and blew pretty hard for most of this day’s trip. 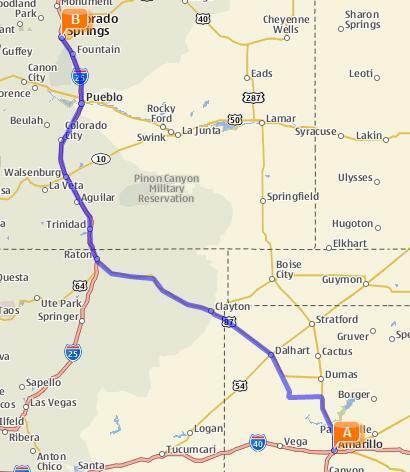 I think it blew the hardest traveling through New Mexico. 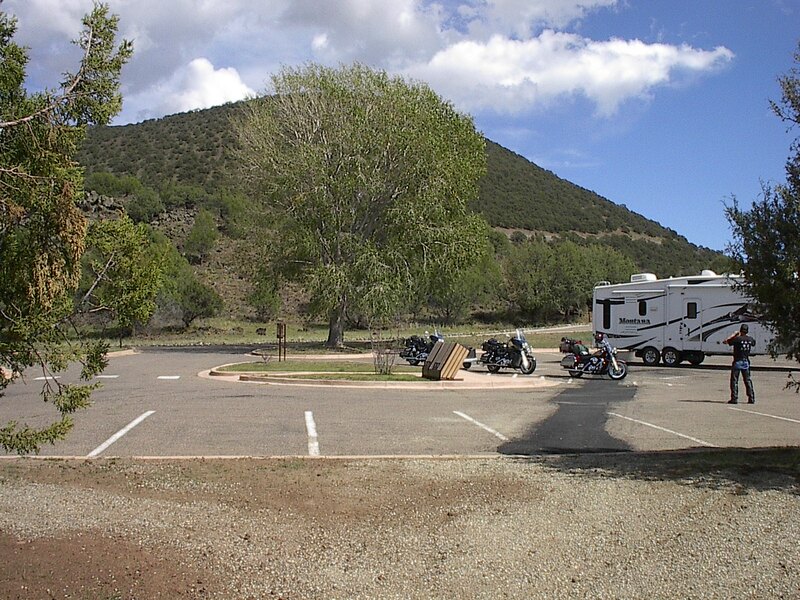 We stopped to see Capulin Volcano. 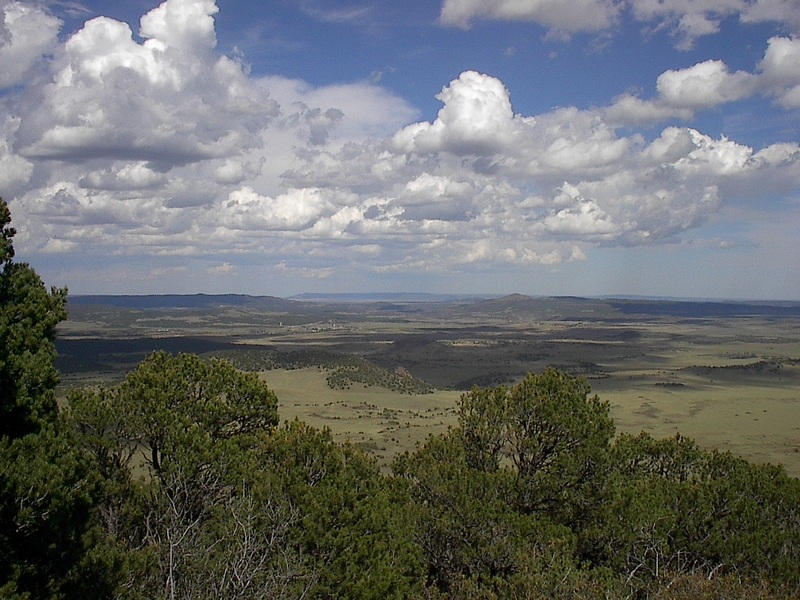 Approximately 60,000 years ago, the rain of cooling cinders formed Capulin Volcano, a nearly perfectly-shaped cinder cone, rising more than 1000 feet above the surrounding landscape. The ride to the top spirals around the volcano with quite a drop off on one side and a shear wall on the other. If height bothers you then … the view from the top was something to see. You could see for miles and other volcano were visible too. 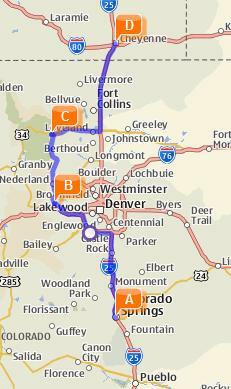 We rode to Castle Rock, took Hwy 85 to Hwy 470 to I-70 to Hwy 72. 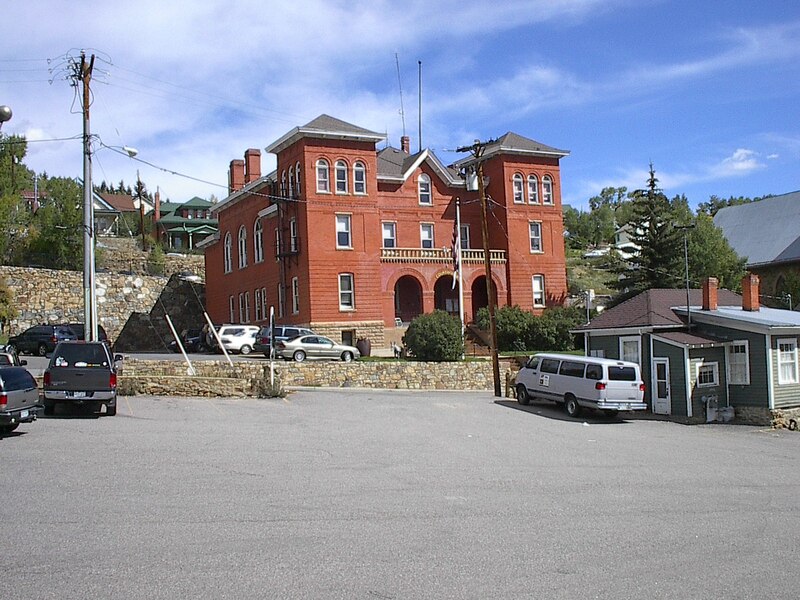 Hwy 72 took us through the mountains to Blackhawk and Central City. 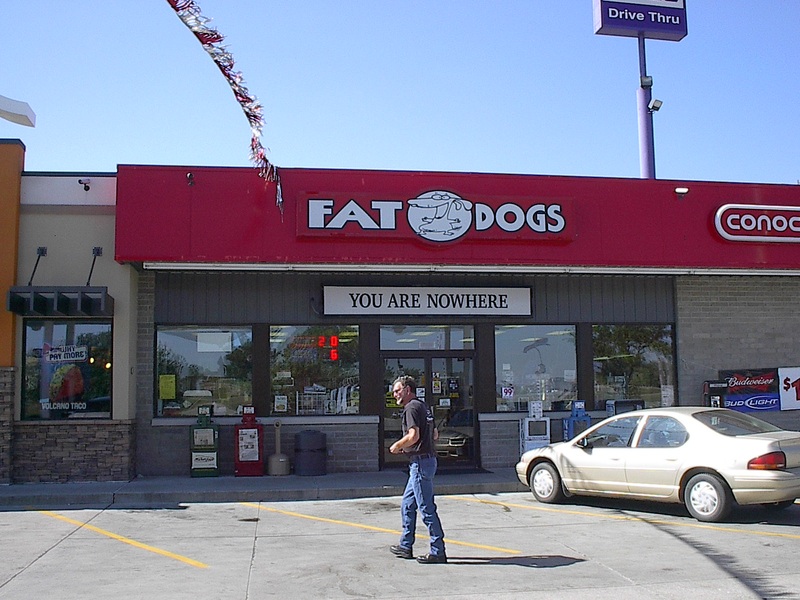 Janet and I went there numerous times when we lived in Aurora (1978 – 1986). It was one of our favorite destinations… but what a difference 20+ years makes. It had completely changed… instead of being the quaint little old historic towns they were in the past they were now a casino Mecca. Streets of the old Central City. 20 years ago it would have been full of people. The ride through the mountains to Estes Park was nice. The air was crisp and clean with the Aspens turning to bright yellow. Seeing the Aspens turn is one of the many things Janet and I miss about Colorado. I had forgotten much of that road but I did remember a few things. I had forgot coming into Estes Park from Hwy 72. You look down on Estes Park from atop the mountain. Estes Park is still a very pretty little tourist town. From Estes Park we rode through the Big Thompson Canyon. Big Thompson canyon was truly a pretty ride too with the road following the Big Thompson River through the canyon. 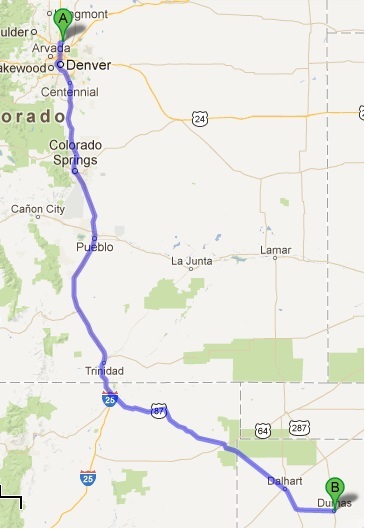 Once we were back on I-25 it was a quick ride to Cheyenne. Just before we hit the Wyoming state line we suddenly hit a wall of cold air and the wind picked up too. The temperature drop felt like it was at least 20 degrees. Needless to say we were ready to find a room and get off the bikes for a while. After a stop at Wal Mart for a few things and an attempted to stop at a motorcycle dealer (they were closed) we headed toward Devils Tower. The Larry’s had brought things for making sandwiches so we stopped at a picnic stop along the way for lunch. Most of that ride the scenery was mostly rolling plains but once we got near Devils Tower the scenery was hills covered with pine trees. This was the first time any of us had been to Devils Tower. We spent quite a while walking around the base of Devils Tower and taking pictures. It was an impressive sight. Devils Tower rises 1267 feet above the Belle Fourche River. 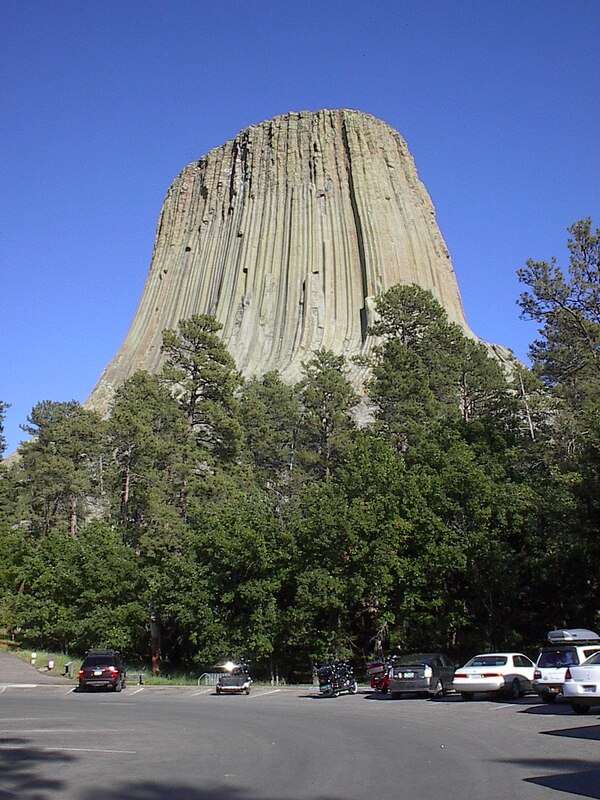 Once hidden, erosion has revealed Devils Tower. This 1347-acre park is covered with pine forests, woodlands, and grasslands. Deer, prairie dogs, and other wildlife are seen. Also known as Bears Lodge, it is a sacred site for many American Indians. 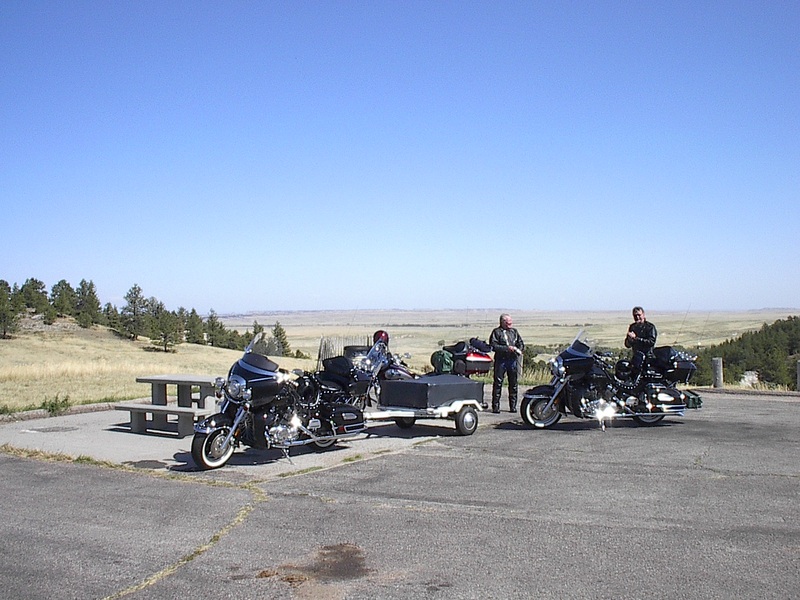 From Devils Tower we rode to Spearfish, South Dakota and spent the night. 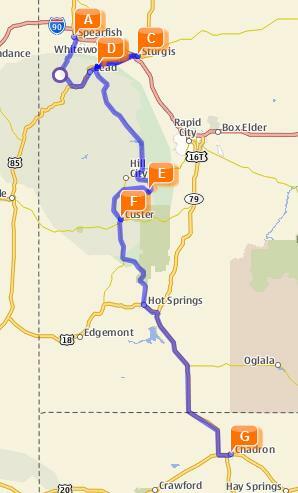 180 miles: Spearfish, SD to Chadron, NE via Spearfish Canyon, Deadwood, Sturgis, Mt. 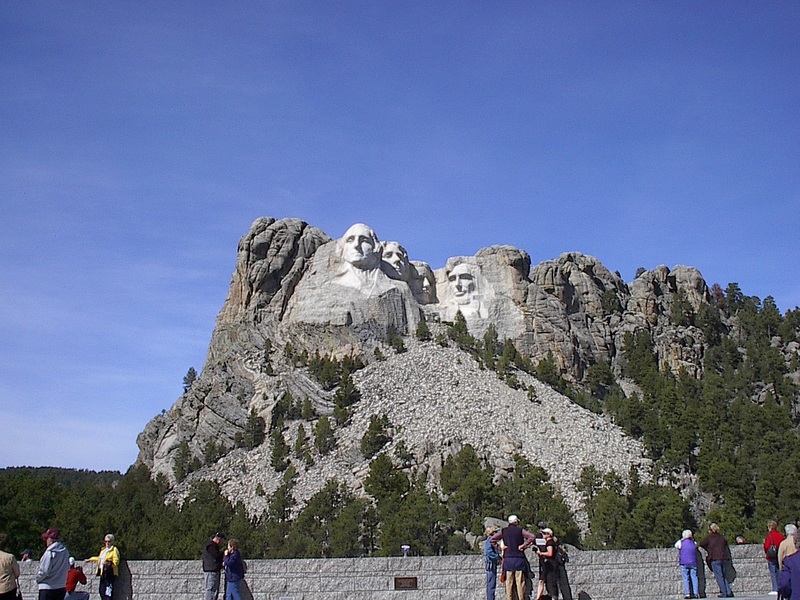 Rushmore and Crazy Horse Mt. We got an early start. The temperature was 39 degrees. Before I left on this trip an old high school friend (Butch Kay) told me about several places that we needed to ride while in the area. One was Spearfish Canyon. Like I said it was 39 degrees that morning but I know it was much colder in the canyon. I was wishing I had brought some warmer gloves. But in spite of the cold it was a great ride through the canyon. 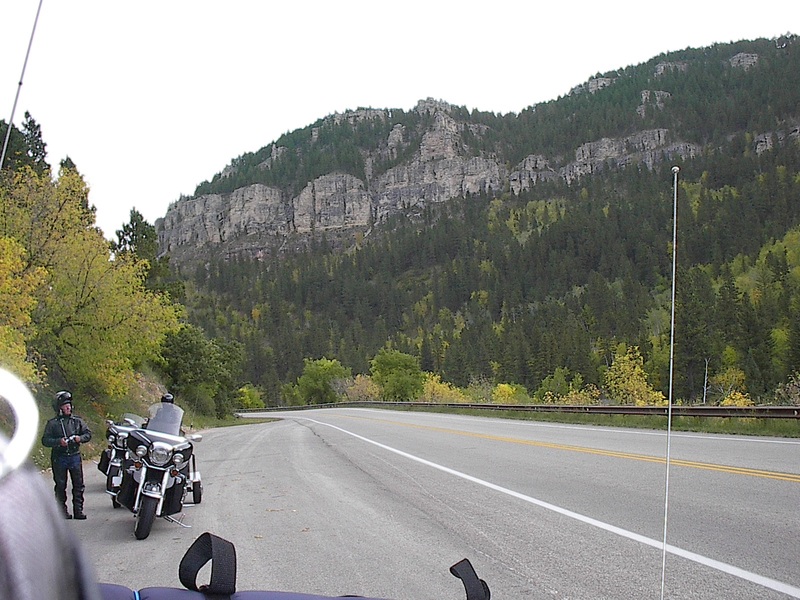 After leaving the canyon we rode on to Deadwood (Where Wild Bill was shot) and on to Sturgis. Sturgis looked like any other small town. 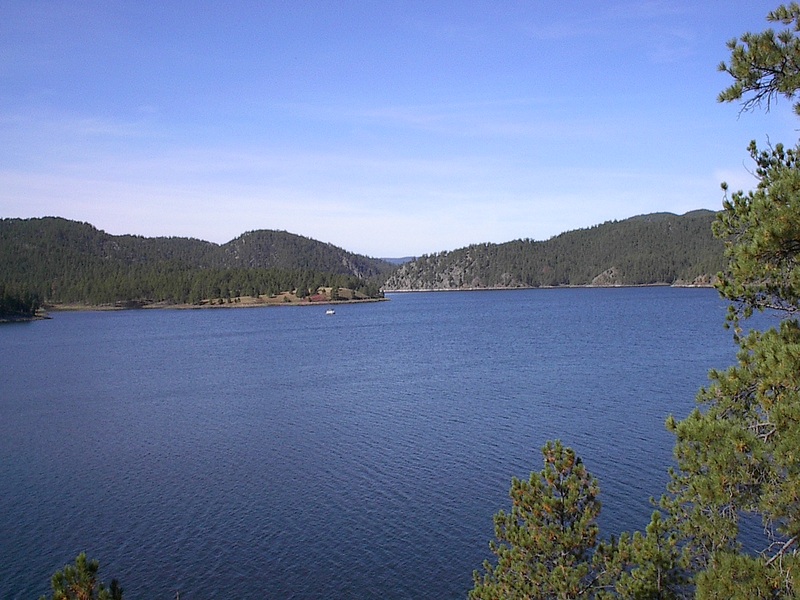 From there we back tracked through Deadwood, stopped at Pactola Reservoir for a short break and rode on to Mt. Rushmore. The Black Hills are really pretty and a great place to ride. We spent some time at Mt. Rushmore walking the trails and taking pictures. It’s been 30 years since I was there last and it had changed quite a bit. There was also a lot of people there which was a surprise to me since it was late September. I can’t imagine what it would have been like in July. From Mt. Rushmore we rode on to Crazy Horse Memorial. I had been there 30 years ago. 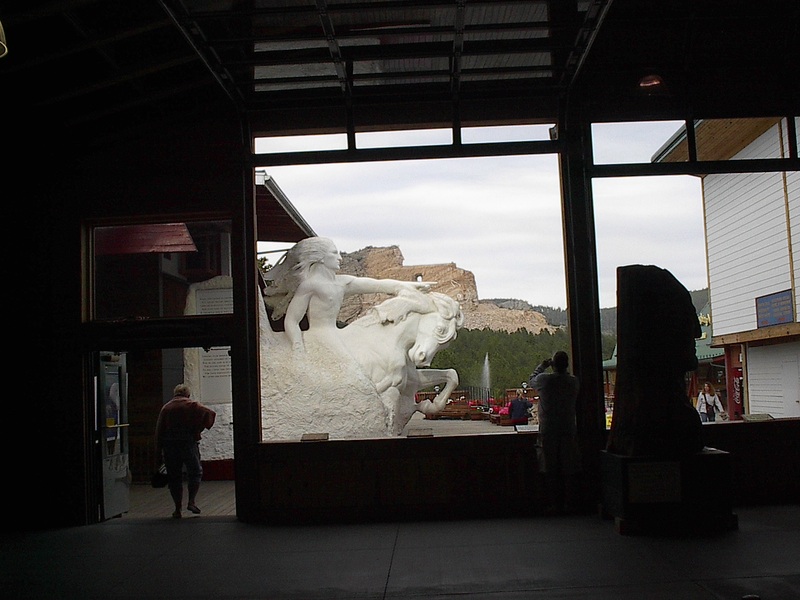 They have removed a lot of the mountain and Crazy Horse now has a head (face). They have been working on him for 60 years. Needless to say they have a long way to go and it will take another generation of the Ziolkowski family to finish the memorial. Sculptor Korczak Ziolkowski and Lakota Chief Henry Standing Bear officially started Crazy Horse Memorial June 3, 1948. The Memorial’s mission is to honor the culture, tradition and living heritage of North American Indians. 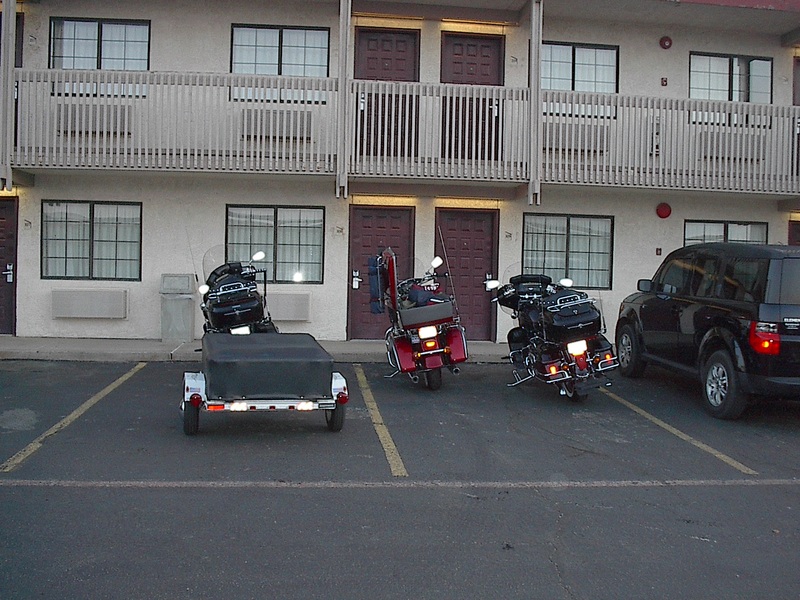 We had planned to ride the Needles Hwy this day but since we all had a long way to go to get home (me 1100 miles and about 1400 miles for the Larry’s) we rode to Chadron, Nebraska and got a room. 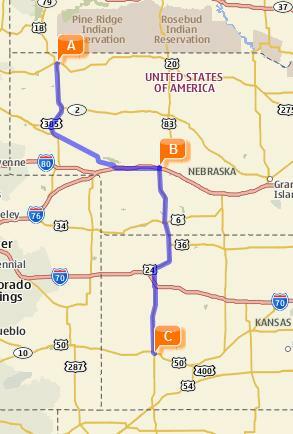 I rode with the Larry’s to North Platte, NE and from there we said our goodbyes. They headed to Anamosa, Iowa to see a motorcycle museum. Anamosa was the original place we were to meet but due to all that happened the 2 weeks before we left we rode the trip backwards. I thought about going with them to Anamosa but I decided to make an easy ride home for my self. At one gas stop I met a couple from Pennsylvania who had been riding for 5 weeks riding to the northwest and California etc. They weren’t ready to go home but had jobs they had to get back to. We had a good visit and then we went our separate ways after they took my picture to add to their travel log. I rode to Garden City to spend the night. 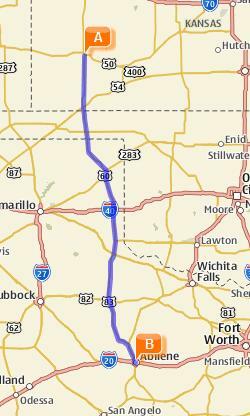 I got an early start and headed to Abilene. The scenery in Nebraska and Kansas was pretty much the same. 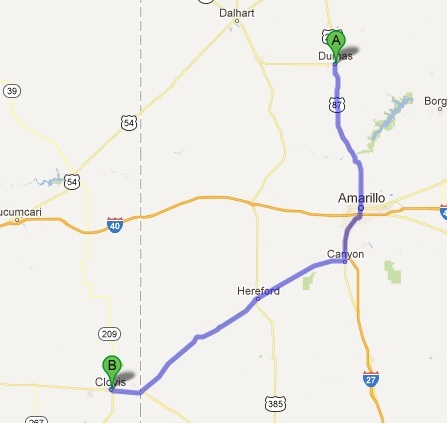 A lot of farm and ranch land… and a lot of very smelly feedlots. It seemed that every town had a feedlot. In its own way it was still pretty and I’m sure a different way of life. Miles and miles between towns. The morning I left Abilene the sky was filled with hot air balloons. It was quite a site. The balloons could be seen miles way from Abilene. The ride home was easy for the most part. I have ridden this stretch several times. I saw many familiar sites and a few I somehow missed. I was ready to get home. It seemed as though I hadn’t seen Janet in a month. To my surprise when I got home Janet had cooked me a coconut cream pie (my favorite). It’s nice to be missed. All in all I must say it was a good trip. For the most part we had really good weather and saw some really pretty country. The only thing I would change is taking more days to travel that distance. If you liked this post you may like this of another ride here. For the last few years I have taken a motorcycle trip in September. 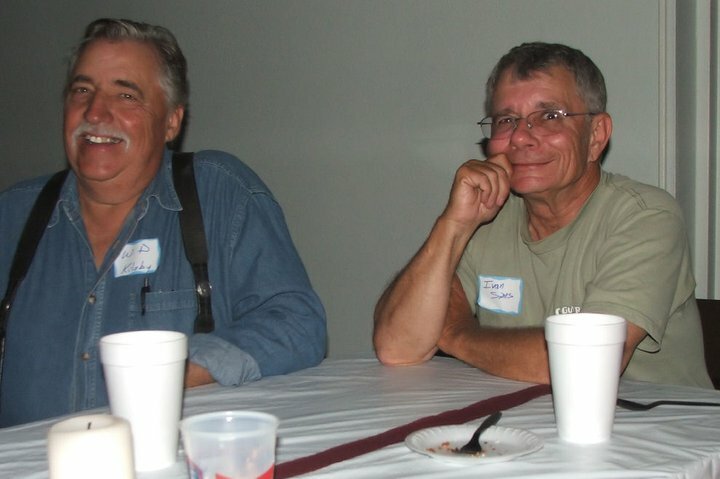 In the past, the trips have started with me meeting my friends LC (Larry Cooper my Air Force buddy) who lives in Bryant Alabama and LT (Larry Talley) who lives in Tunnel Hill, Georgia. We would meet in Hot Springs, AR. LC & LT would ride the “Trail of Tears” motorcycle ride which starts in Chattanooga, TN and it would end somewhere in Oklahoma. I would then ride the last leg of the “Trail of Tears” with them and the other 250 or so riders. This year the “Trail of Tears” ride ended in Tahlequah, OK. 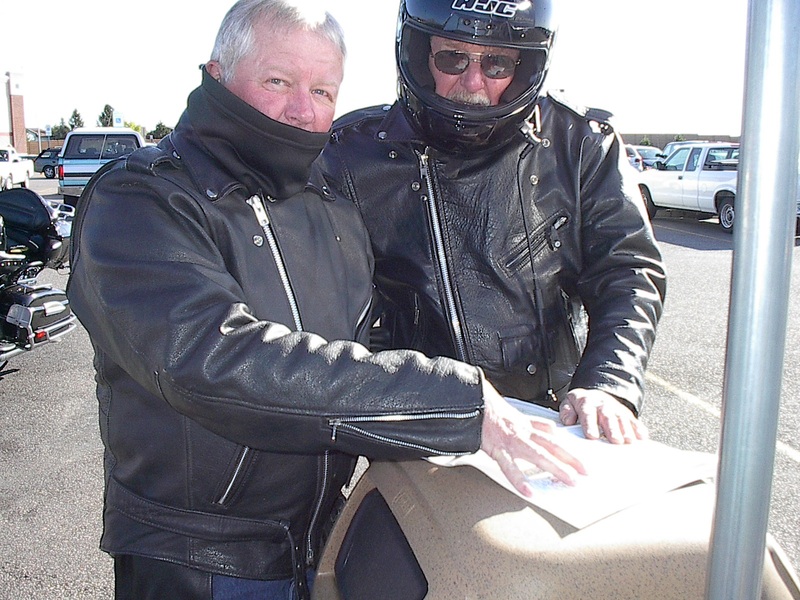 This year LC & LT rode ahead of the official ride to Hot Springs because of the heat. When riding in that large of a group it moves slower and is hotter. I’ve known LT almost as long as LC. 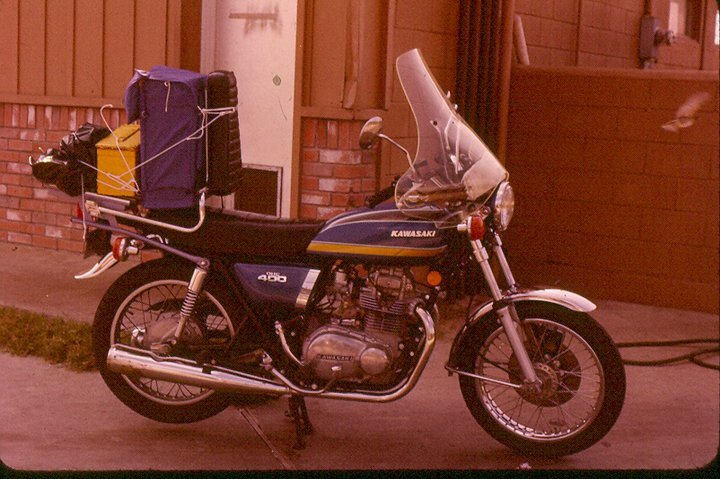 While LC and I were buddies in the Air Force LC always talked about LT. Our first motorcycle trip together was 32 years ago in July when I rode my Kawasaki KZ400 out to visit LC. LC (Kawasaki KZ900) & LT (Yamaha 750 I think) rode and met me half way and then we rode back to LC’s together. 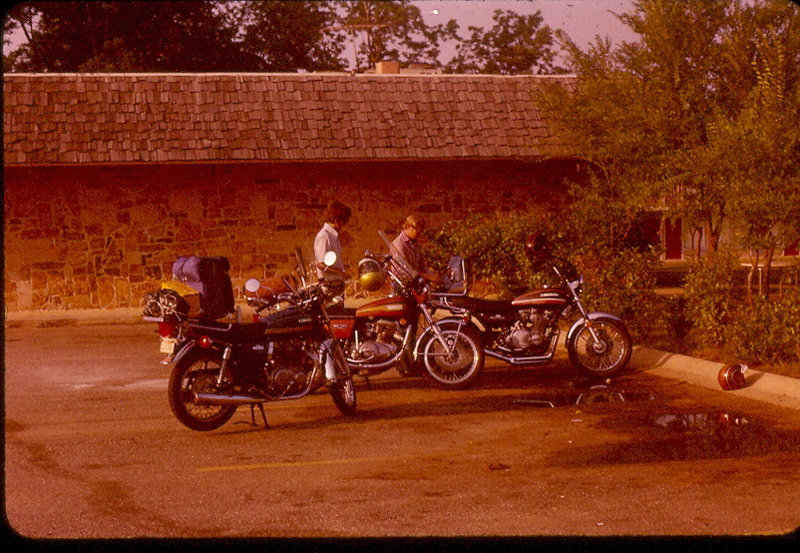 Below is a picture from that trip of LC & LT, at the motel, as we are getting ready to ride back to LC’s. My how things have changed but our enthusiasm for riding hasn’t. Janet didn’t make this trip since the other wives were not able to make it and she didn’t want to be the only girl. I did miss my riding buddy.